Many of you dear readers probably play a game set in the far-off future that's full of conflict (so much conflict, it seems that it's all there is!). 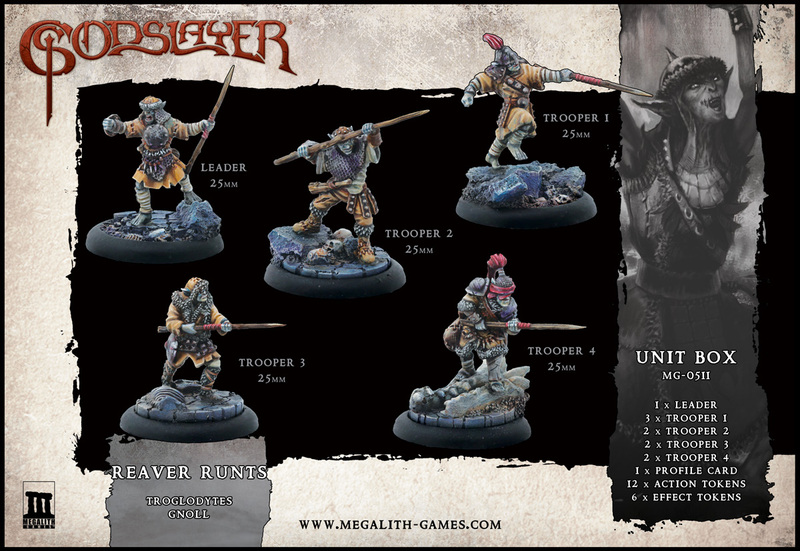 Some of you have armies that use miniatures that look really close to the minis your friend might use for their army, since both factions draw from the same pool of figures. So how does one get their army to stand out? Well, Meridian Miniatures can help you out. 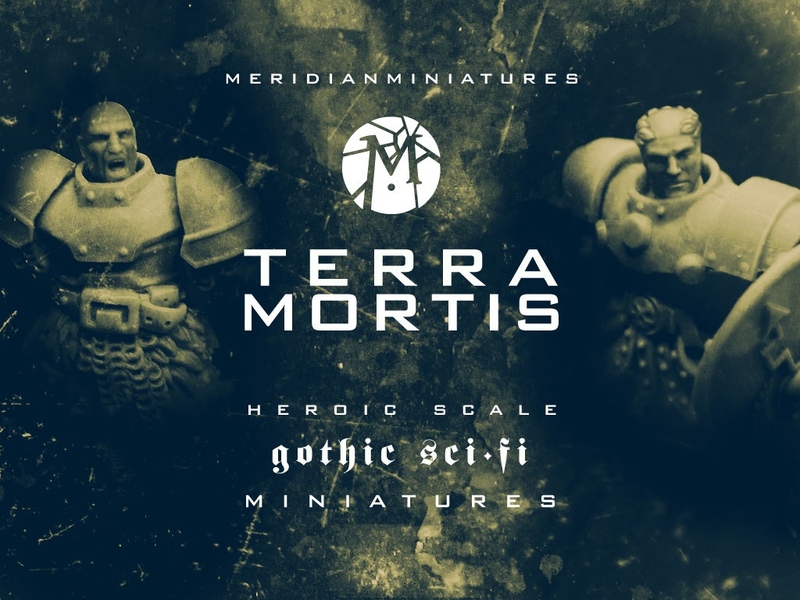 They've got a Kickstarter campaign going for Terramortis, their new "dark and gritty" sci-fi minis line. Steampunk is a rather popular setting. That Jules Verne-inspired bit of Victorian-era look with ... well... gears. Though more than just gears, but a whole aesthetic of technology that seems like it could potentially work if you just gave it some more steam. 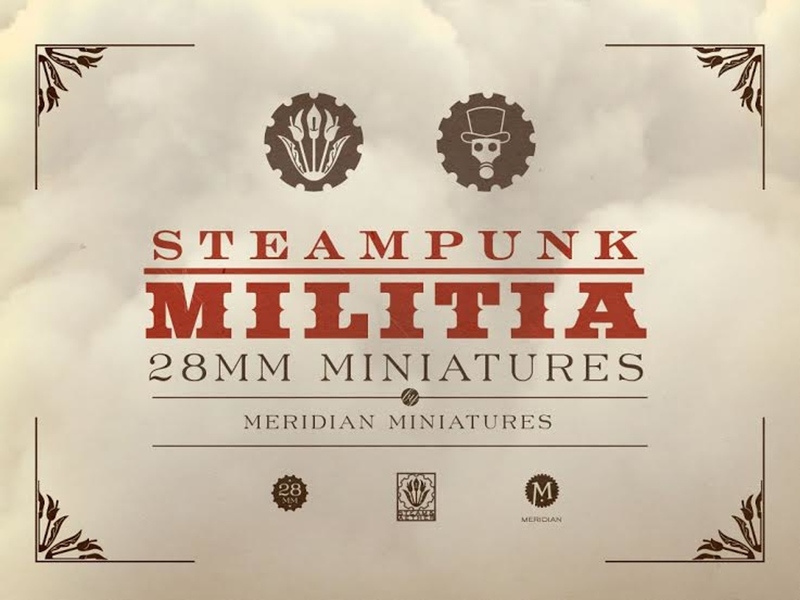 Well, Meridian Miniatures is running a Kickstarter campaign for some new Steampunk Militia miniatures. It's Sunday (at least at time of posting in much of the world... stupid time zones...). I hope you were able to get out and get some gaming on yesterday (or perhaps some today). My party did not get TPK yesterday. Though some party relations were strained a bit. Remember, everyone, communication is key. Also, Fighters hate having to make Will saves. But that's as may be. 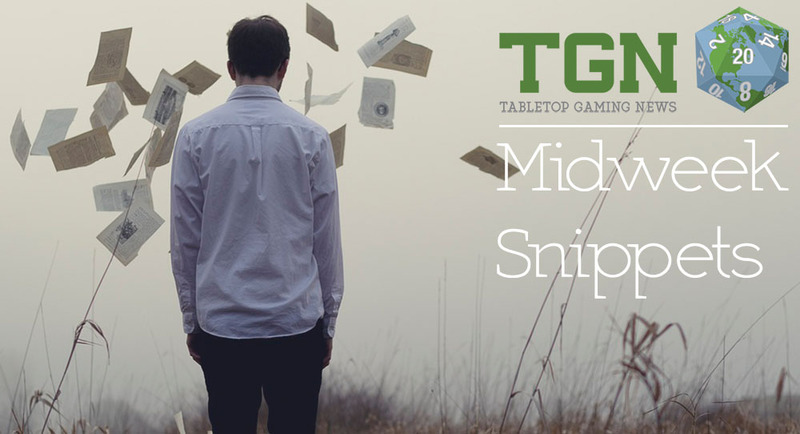 We've collected some bite-sized stories over the past couple days and present them to you now. 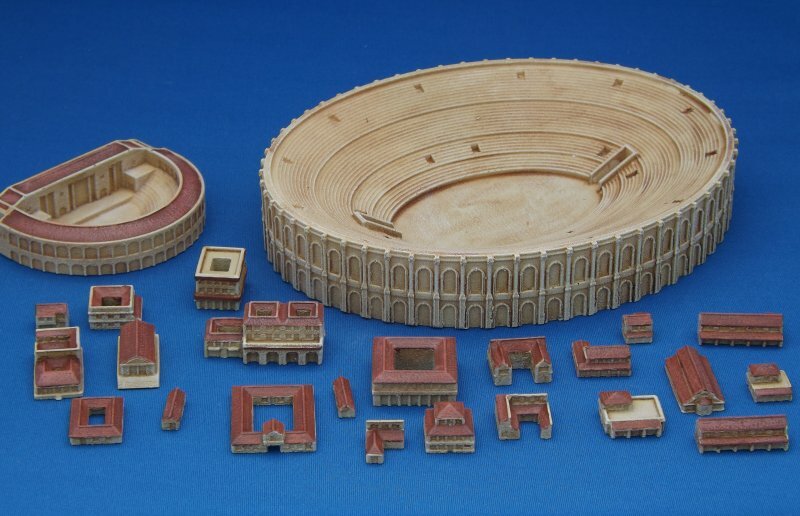 In this batch we have: A couple more sets of The Fiver, New 2mm Roman Buildings from Brigade Models, Meridian Miniatures release Chibi Hippogryph for Tooth & Sword, Old Dominion GameWorks posts Post Captain Master index pt 1, Universal Adventures Celestial Invocations Now Available, and Stag Rider unveiled for The Shattered Crown. 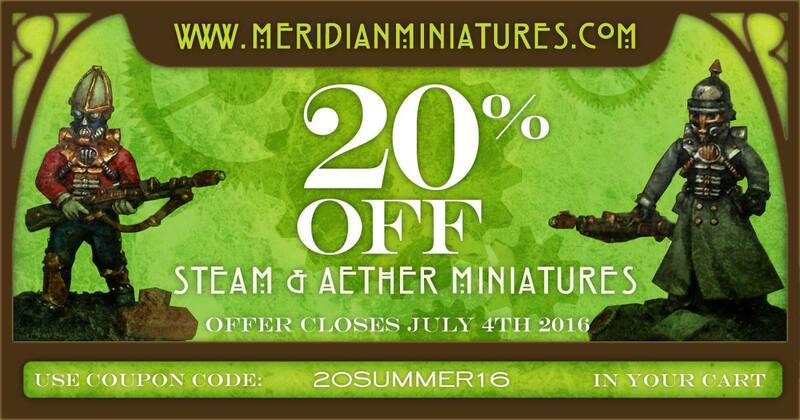 Meridian Miniatures has a website of their very own to call home. For those of you that are averse to Facebook (I know there are a few of my readers that don't like it), you can now check out their miniatures. They've got their Steam & Aether and Tooth & Sword sets up to check out. Terramortis will be coming soon. 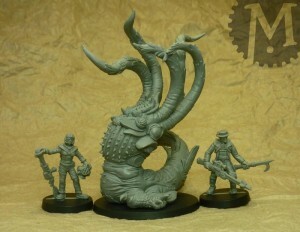 Meridian Miniatures has a Kickstarter campaign underway for their Interdimensional Bestiary. 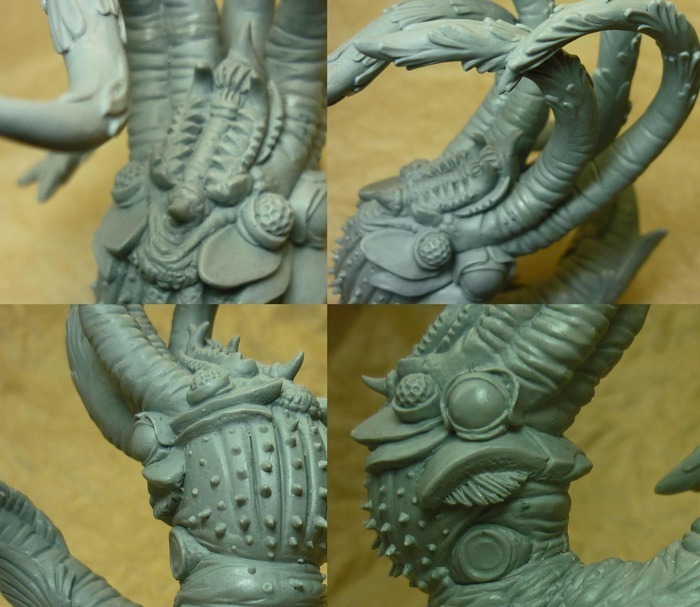 With this, my second project in the world of Steam & Aether, I invite you to contribute towards the moulding and casting of a monstrous 28mm scaled creature and more! The first monster that I have chosen to create is this horrifically tentacled maritime mass, dubbed "Aequatherium Magnus", of the many concepts and sketches that I have compliled I felt that it was the most versatile in that it has plenty of scope for use outside of the Steam & Aether setting. I can imagine it being used in plenty of other sci fi/fantasy/mythos games. 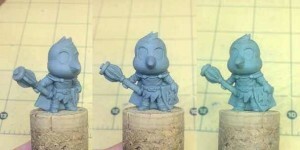 Meridian Miniatures gives us another chibi preview from their Kickstarter campaign. 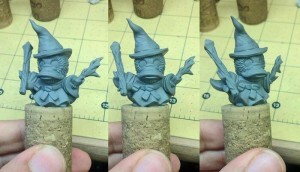 I just realised that I forgot to share the second custom Chibi on here as well as the KS page, I give you "Platypus Wizard"! Meridian Miniatures posted up a new green from their Chibi miniatures Kickstarter campaign they funded. Custom Chibi no.3 from the last Kickstarter. Meridian Miniatures is in their last couple days on Kickstarter. They've added postcard add-ons to the campaign. Hi everyone, I trust we've all had a nice weekend. I've been in the woods all day but not spotted any sword wielding critters! I'm pleased to say that I've had the lay.out for the postcard set back and thy're ready to include as an add-on. 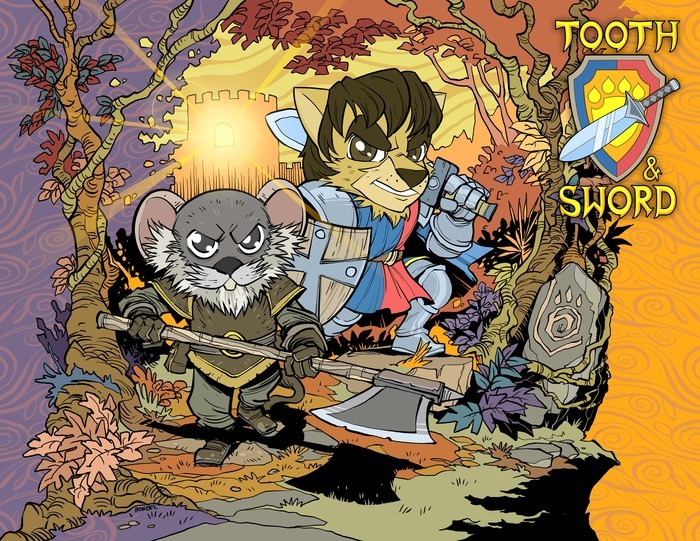 Meridian Miniatures made it through their Stickers stretch goal for their Tooth & Sword Kickstarter campaign. Ok, the total is adjusted due to a backer pledging too much but we are happily still over the £3.5k stretch goal! 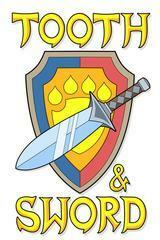 Meridian Miniatures has posted up the painted version of the Good Guys for their Tooth & Sword Kickstarter campaign. I'm very pleased today to be able to show you the first figures that I've had painted for the range. 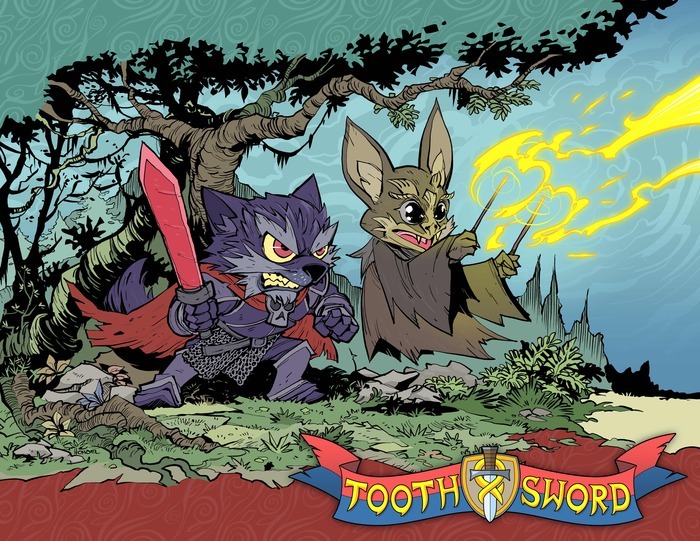 Meridian Miniatures added new art prints to their Tooth & Sword Kickstarter campaign. They've reached their funding goal, so it's just seeing how many stretch goals they can make it through now. Honoel Has done a fantastic job of bringing out the character of these critters! I am offering these as high quality A3 prints to anyone that would like to add them on to their pledge, this isn't something that I'm really going to be making profit on, as the postage costs are unfortunately high but I can't not offer them as I'm so happy with the artwork and I'm sure a few of you are going to really enjoy having them up on the wall of your gaming room! If you would like an A3 art print and you are in the UK then just add on £10 for EACH print (lion/mouse or wolf/bat) that you would like. If you are in the rest of the world then please add £14 for EACH print that you would like. These will ship separately to the rest of your pledge and the rates for international postage are especially high for postal tubes, I'll have the postcard set ready to show by the weekend for you if you want a pocket sized art fix instead! 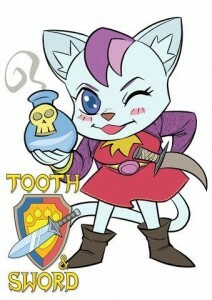 One more thing that I forgot to say this morning is thanks to our second "custom adventurer" pledge, another lucky lady will be getting their very own character! 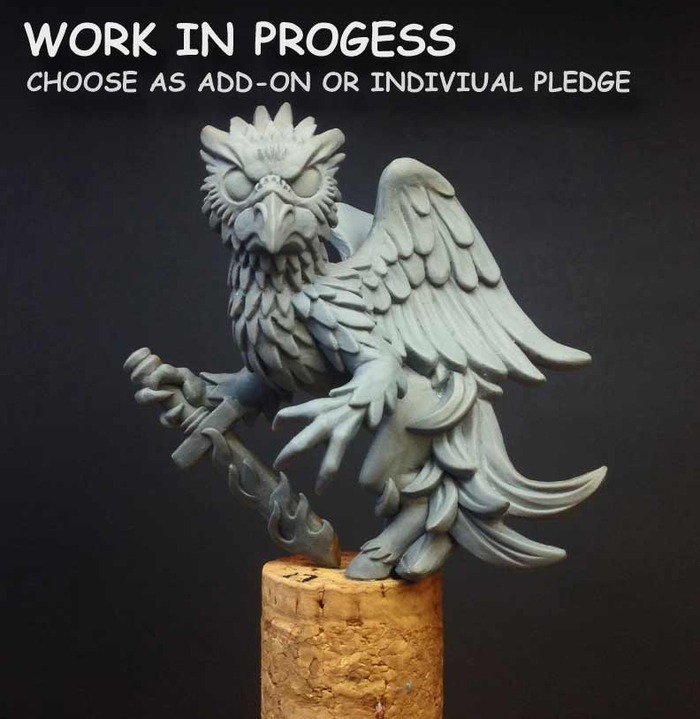 Meridian Miniatures has added their Hippogryph to their Tooth & Sword Kickstarter campaign. Plus, they're showing off the metal masters for the first set of figures. 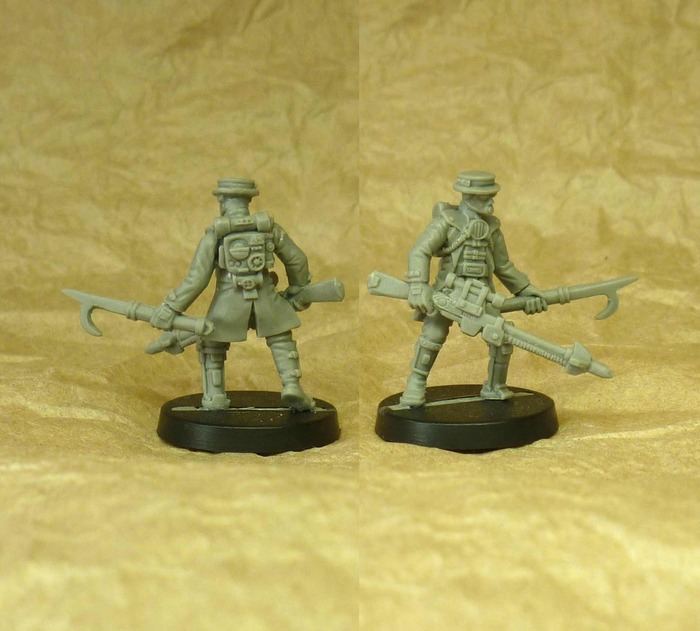 The figure stands an just short of impressive but sensible 60mm tall and will be cast in 3 separate resin pieces. 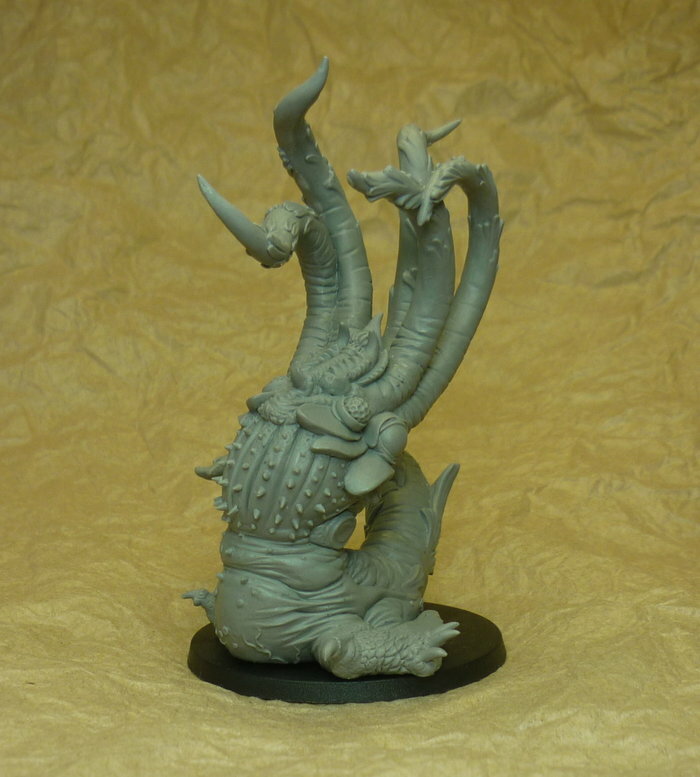 This fearsome fellow will be eating up quite a chunk of mould rubber and be a substantial centrepiece for your games or collection therefore I have put a price of £12 per figure for him with an additional £2 for international postage for those pledging solely for him. If you would like to add him on to your pledge then go to " manage my pledge" and adjust your total by £12, no need to add extra postage if you're already down for other models. 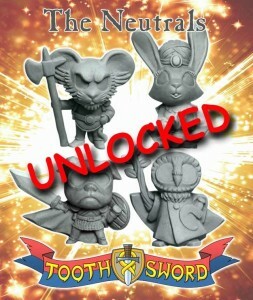 Meridian Miniatures has talked with their spin caster and unlocked the Neutrals set for their Tooth & Sword Kickstarter campaign. Today I had a good chat about my options for moulding the Neutrals in addition the the Good Guys and the Wicked ones while staying inside of the original £3000 goal. The good news is there's an easy way to do it! Each mould can hold 3 sets of 4 figures so I was planning on having 2 moulds each containing 3 of each set and adding another when the neutrals were unlocked. I can however put in uneven multiples of each set in ratio to whatever the surveys come back with. This will allow me to mould all three sets within budget! 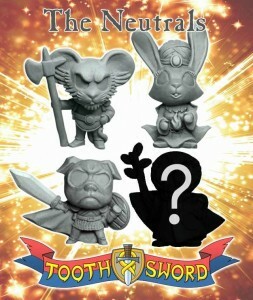 Meridian Miniatures is showing off the 3rd Neutral for their Tooth & Sword Kickstarter campaign. Plus, they have news about possibly adding them to the base goal for the campaign. Today we have the Pug fighter! A real asset to any adventuring party that might roam in dangerous woods and ruins! Now, the tentative news I have is that I will be giving the moulding company a call tomorrow and having a chat about changing the mould configuration to let me unlock the neutrals whilst still remaining viable within the £3000 goal. I posted the masters off to them "next day" today so they can look the options over (they already have the Good Guys). If it works out I will be adding new pledge levels so that you can all get the full set should you want them. so, more to come tomorrow. 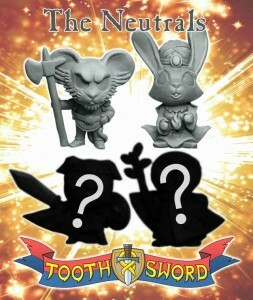 Meridian Miniatureso posted up a preview of the second Neutral for their Tooth & Sword Kickstarter campaign. It's the Rabbit Illusionist. Though, I guess that could just be an illusion. Today I have a rabbit illusionist for you. She's ready to outwit and beguile any adversaries you might encounter. I've also spent more time working on an add on figure and more today, so I'll have something else to share very soon.